So you think your loved ones are ready for Christmas? They will be with this handy Christmas Checklist card! 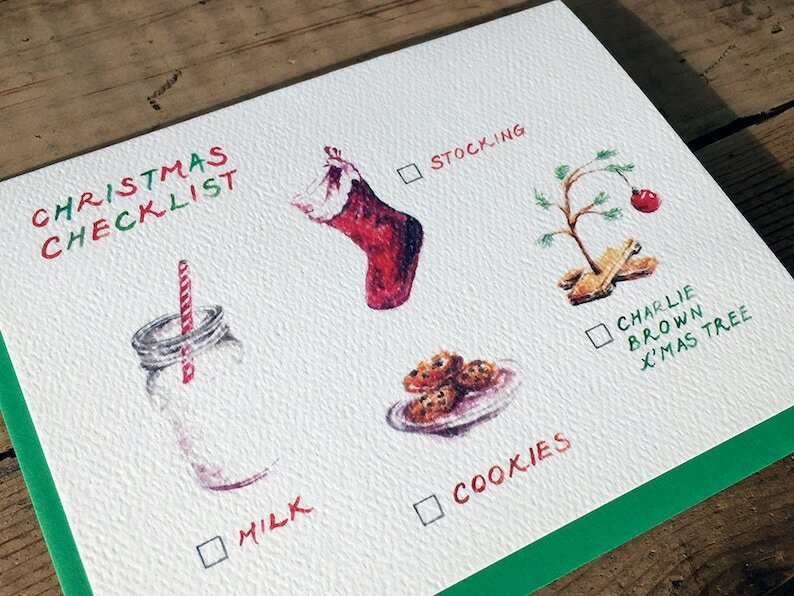 Send this card to anyone that requires a Christmas Checklist, and they will thank you when their stocking gets stuffed with presents this holiday season! - Choice of 2 colors (green, red) from Ashley Announcements.